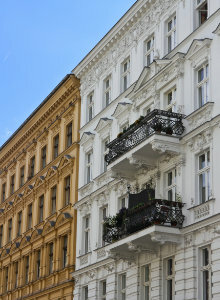 There are several options to insulate a facade. Cavity wall insulation and external wall insulation are the most appropriate approaches. If these options are not feasible, you can still insulate the inside wall. Here you can find the procedure, points of attention and prices of internal wall insulation. Do you want to have your internal wall insulated by an expert? Request free and informal quotes. When to choose insulation on the inside? In general, one only decides to insulate the internal wall when other options (such as cavity wall insulation or facade insulation) are technically impossible. This may be due to the high cost, a protected facade or restrictions because of adjacent buildings. Internal wall insulation is often part of a renovation of the house. The craftsman needs enough space to work decently, so the room has to be empty. Internal wall insulation is a good alternative for facades that should remain untouched, for example because of their historical value. However, there are some points of attention that should be considered. The external wall should be as vapour permeable as possible. The house must have a well-functioning ventilation and air-conditioning. Attention has to be paid to thermal bridges between the floors. The insulation should fit closely to the existing facade. The pressure of the rain on the facade must be very limited. Damp problems and cracks in the facade need to be treated first. In case of internal wall insulation, specialists mostly make use of a stud wall. This wall is applied onto a wooden or metal frame that is anchored in the supporting wall. The space between the grid and the wall is filled with a suitable insulation material. Next, a plasterboard or chipboard is attached to the frame as a wall material. You can choose to paint or wallpaper the wall. Instead of using a false wall, you may as well opt for insulated plasterboards or chipboards. These can be glued directly onto the walls. REMARK: If you are going to insulate your interior walls, make sure to install a moisture-regulating vapour barrier (foil) between the insulation material and the finishing layer. This is very important to avoid condensation against the cold side of the wall. Read more about the installation and cost of stud walls here. Furthermore, it is also possible to insulate an internal wall with Multipor insulation boards of manufacturer Xella, better known from the Ytong aerated concrete blocks. The thermal conductivity of these insulation panels is 0.045 W/mK. This is comparable to most of the insulation materials. Because of its porous structure, this is a vapour permeable product that leads to a natural moisture management. The material can be glued onto almost every foundation. Note that damaged walls should be treated with cement mortar first. Insulating a facade from the inside of the house entails a number of advantages. First of all, heat cannot get lost in the facade and the heat is better preserved during the cold winter months. In addition, external wall insulation cannot be installed when it is freezing or raining. The weather won’t cause any problems in the case of internal wall insulation. Finally, the facade will retain its original character and one can work in different phases and from room to room. 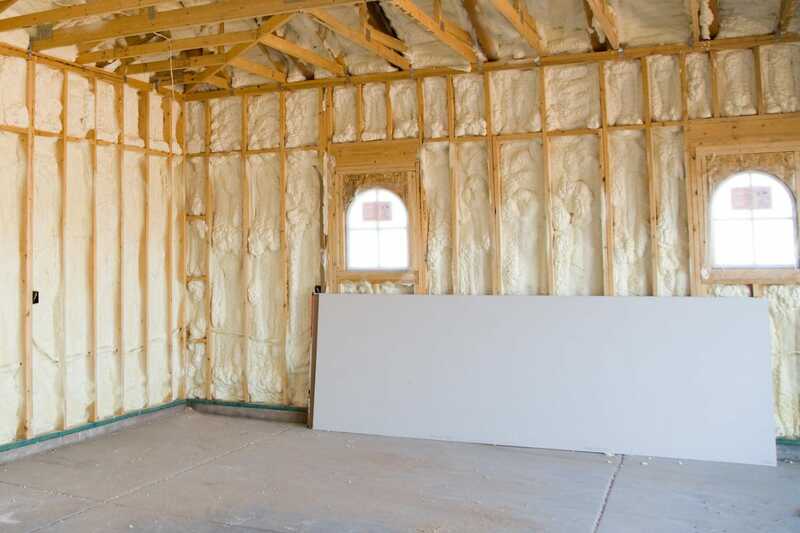 Are you looking for a professional who can insulate your internal walls? By using the quote service, you can request non-binding and customised prices from different insulation experts for free! Click here for more information. Unfortunately, insulating an external wall from the inside has its downsides as well. Expertise is required in order to avoid damp problems and thermal bridges. The work involves inconvenience, the walls have to be finished again and the space inside will diminish because of the (thick) insulation layer. Also take into account technical provisions. The craftsman will have to replace radiators, extend windowsills and reconnect the switchgear. In the summer, the room will heat faster and cool slower. So the advantage you have during the winter, becomes a disadvantage in summer time. Before internal wall insulation can be installed, one also needs to know whether the facade is susceptible to frost. It is best to leave inside wall insulation to an expert with experience. The price of this work strongly depends on the desired finish and insulation value. A completely finished wall has a price of £35 per square metre. Do you want to have your walls insulated? On our quotation page, you can request customised prices. Request free and noncommittal quotes from insulation experts here. Be careful with damp problems! If the internal walls contain damp stains, one should first treat the cause before installing the insulation. For example, a water-resistant layer can be applied. You can recognise rising damp by loose plaster, saltpetre or wet stains on the wallpaper. Cracks in the facade may cause damp problems as well.